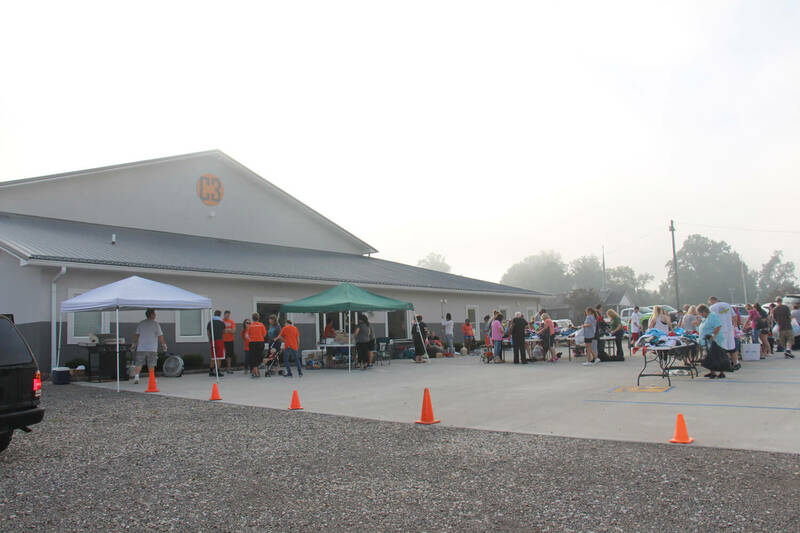 C3 is a church in South Point, Ohio that helps people learn Jesus’ simple approach to life, so they can experience the hope and purpose God created them for. NEVER SETTLE for a life without hope or purpose. Do you feel your life hasn’t become all that you’d hope it would be by now? Maybe making a change seems overwhelming because you’re already busy and stressed out? At C3 Church, we understand that frustration and want to help you experience God’s greater purpose for your life. We believe Jesus’ simple approach to everyday life will bring you the hope you’re needing and the purpose you were created for. I had given up on church completely until I was peer pressured to come to C3 about 8 years ago! Johnny and I were married at the church 5 years ago and now our 3 year old comes to church every Sunday with us. C3 has been there for us through the best times but also through our worst times. It’s a continued constant in our life that makes us feel so comforted and at home. Meeting someone new can be intimidating, and going to a new church for the first time can be nerve-racking. 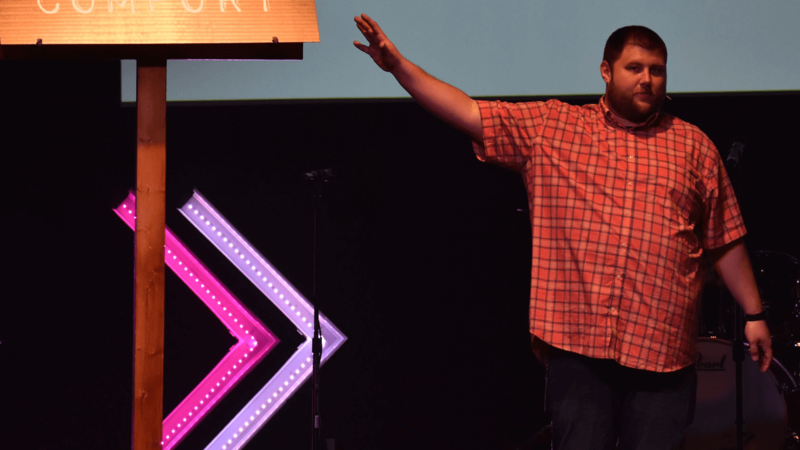 We promise you won’t be called out or embarrassed at C3. 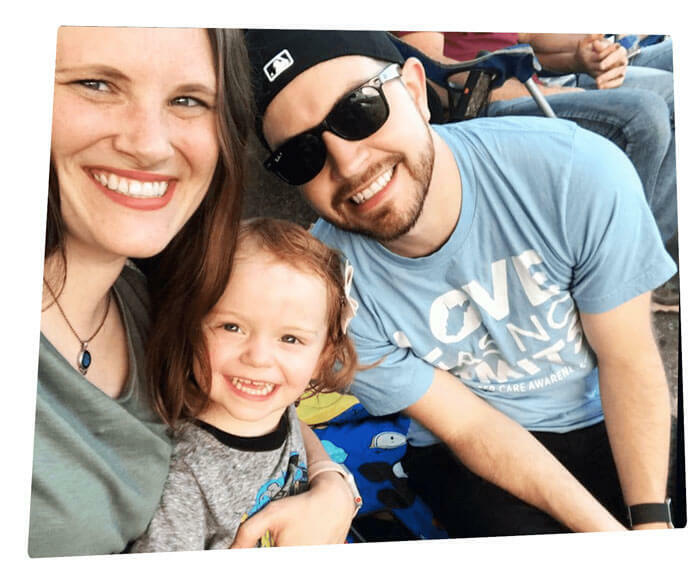 There are new people every week at our church, so you’ll fit right in. So, throw on a t-shirt and your favorite jeans and join us this weekend. 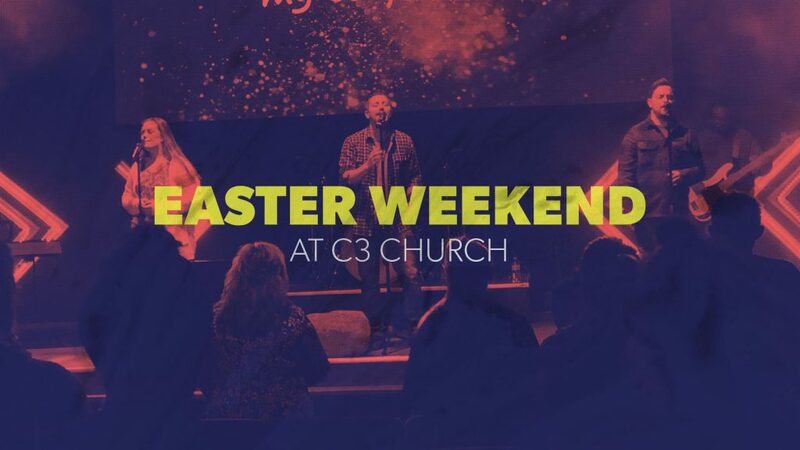 With two identical services on Sunday mornings at 9:30 & 11:00 am, you can make it to C3 whether you’re an early riser or a night owl. You don’t have to dress up or have it all together. C3 is a safe place to explore your faith. 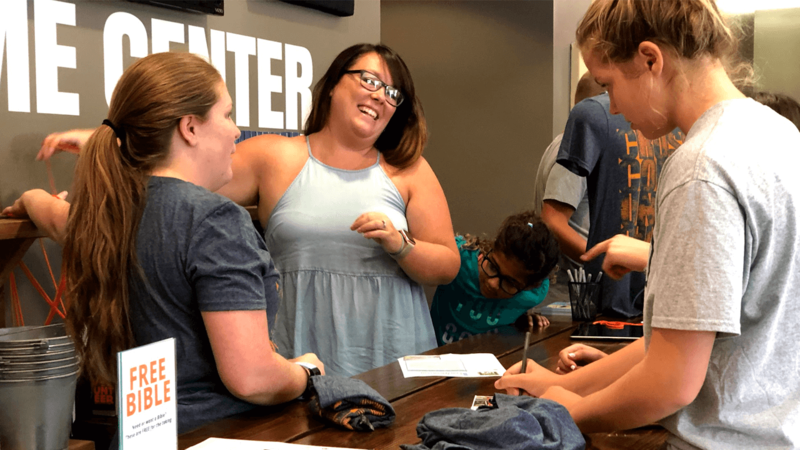 When you visit C3, you and your family can stop by the Welcome Center. 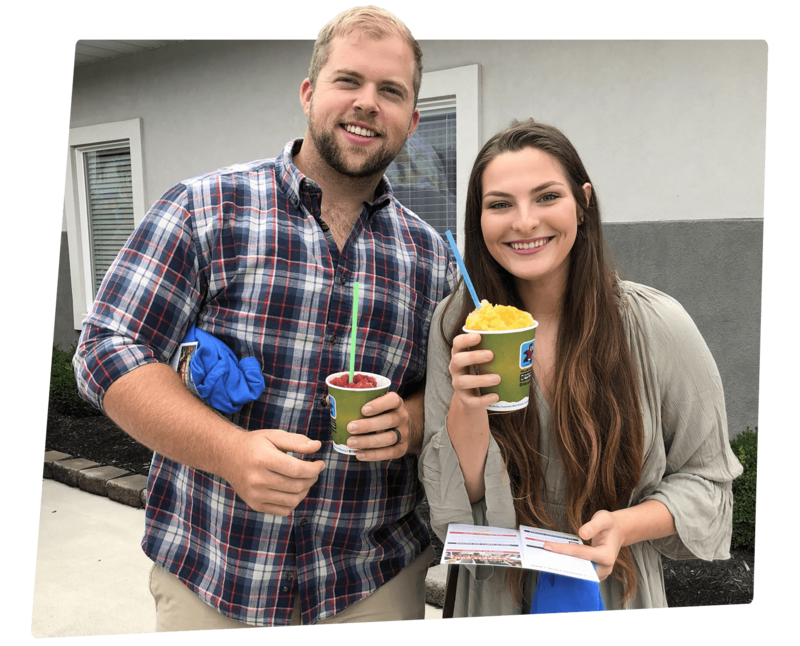 Let one of our team members know that it’s your first time at C3, and they’ll give you a small gift that’s just our simple way of saying thank you for joining us. As you get connected to the church, you’ll be embraced no matter where you are in your life, you’ll learn about who Jesus was and what He taught, and you’ll discover a purpose that only comes from living life Jesus’ way. We know coming to a new church can be awkward. We want you to feel comfortable from the second you drive on our campus. Here’s what you can expect this weekend! You don’t have to dress up to fit in. Your favorite jeans and a t-shirt are perfect. 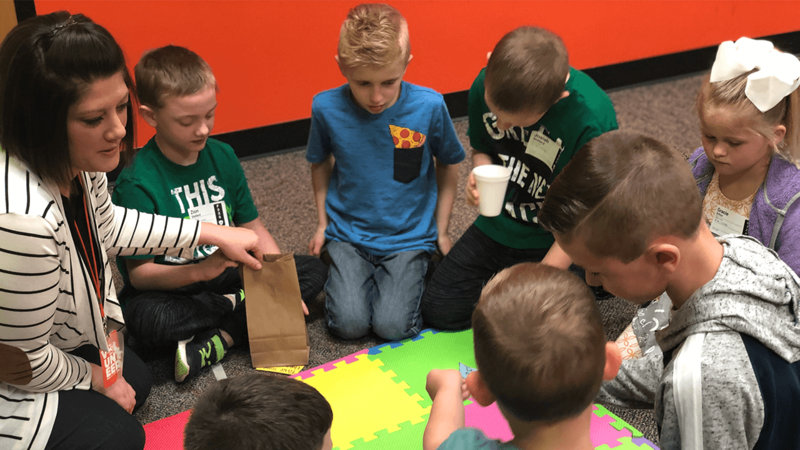 Your kids will have a fun and safe place to learn about Jesus. It’s okay to have have fun and laugh a little at church. We won’t be pushy. You can explore faith at your own pace. You’ll hear teaching from the Bible that is practical and relevant to your life. We take God seriously, but we don’t take ourselves too seriously. We don’t ask guests for money. You’ll get a free gift from us. If you’re a parent, there’s no greater purpose in life than to raise up your children to love and serve Jesus. But, it can be difficult to know how to navigate all the 21st century challenges your kids face today. 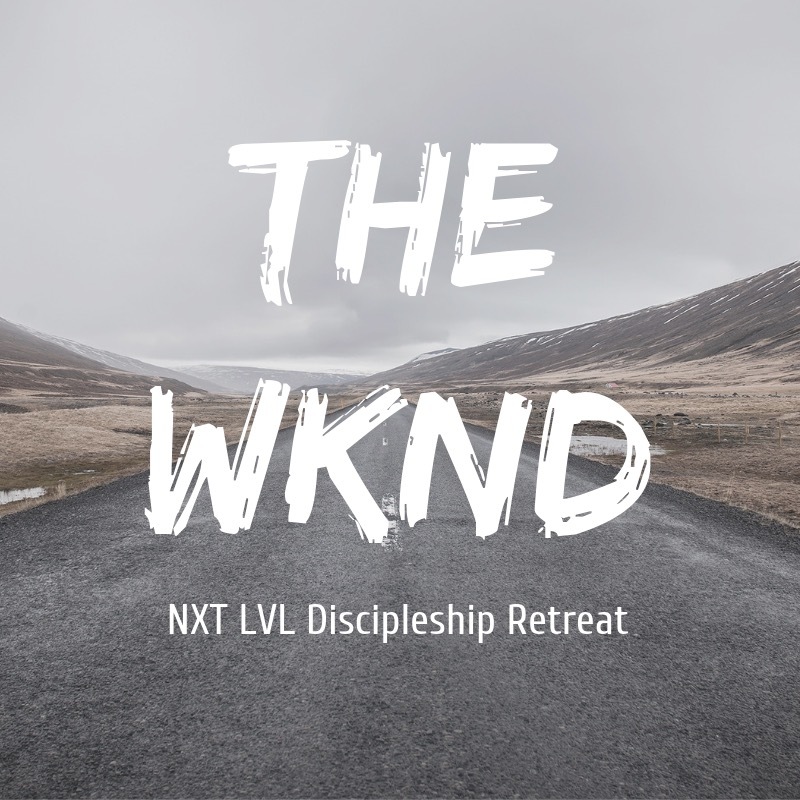 Our CrossKids (Nursery through Elementary) and NXT LVL (6th-12th Grade) ministries work alongside you to help your children to learn about Jesus and live out His purpose for their life. 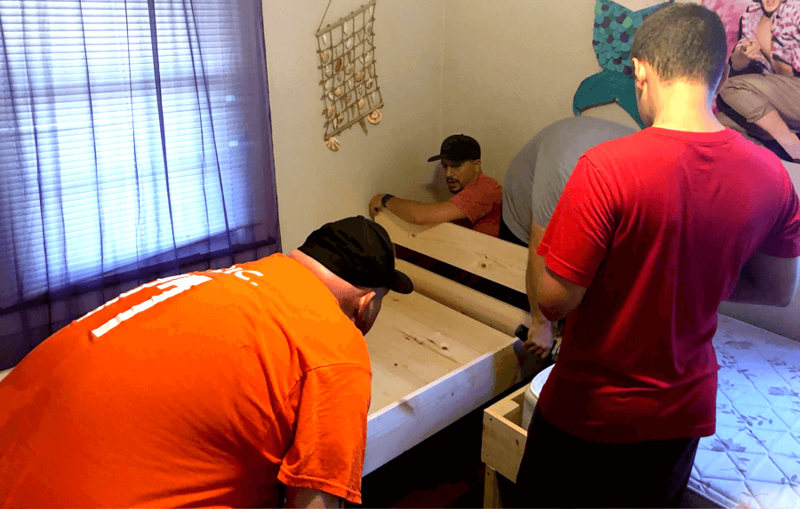 We are going to begin building beds for children in our area who do not have beds on the first Saturday of each month at 9:00 am at the church. We are going to begin building beds for children in our area who do not have beds on the first Saturday of each month at 9:00 am at the church. If you are handy, or even if you’re just willing to learn, you can play a part and making sure children have an opportunity for a good night’s sleep. 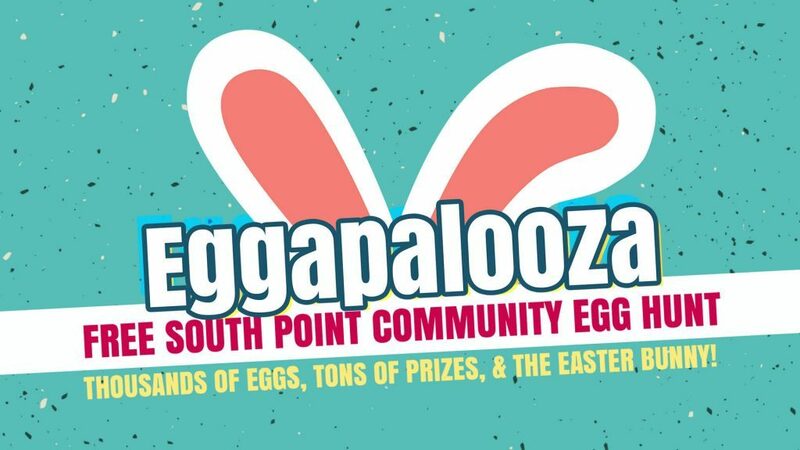 Join us Saturday, April 13 at the old South Point High School football field for our annual Easter Egg Hunt! 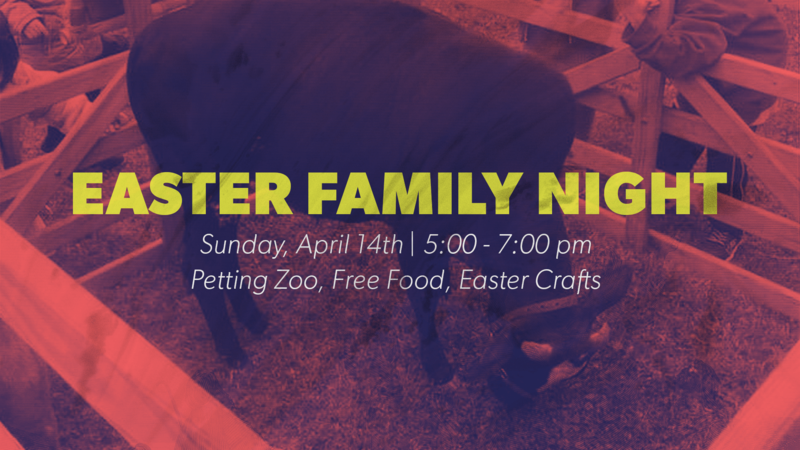 There will be inflatables, prizes and egg hunts that are age specific for your kids! 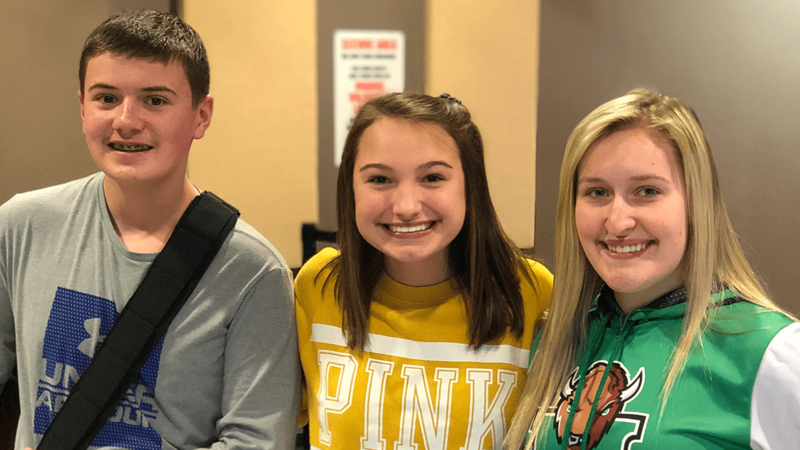 Easter will be here in a few short weeks and with everything going on in our busy lives, it can be really easy to completely miss what the holiday is all about. 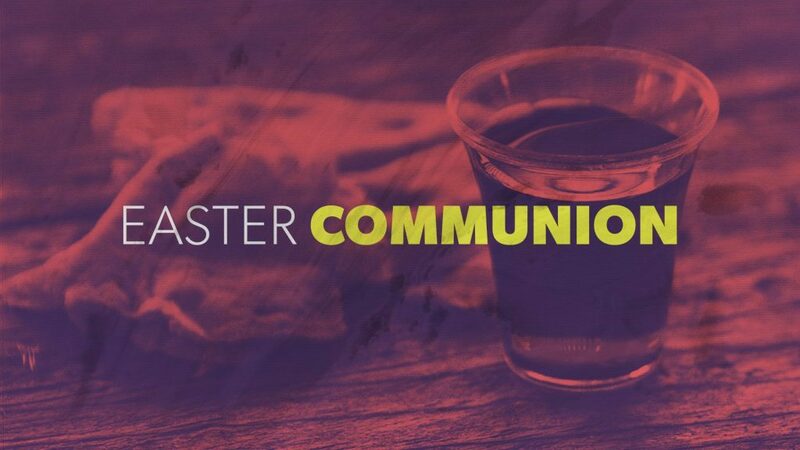 Join us for Easter Communion on Wednesday, April 17th at 6:30 pm to spend an evening remembering What Jesus has done on the cross for all of us. What better way to celebrate the resurrection of Jesus than with other people?! Join us at one of our 4 services where we will be celebrating the new life we are able to have because of the sacrifice Jesus made. Need a ride to church on Easter? Use Lyft code EasterAtC3 or go to buff.ly/2GuHlZS for a free ride on us using the Lyft app. Whether your family currently looks like a drama, romance, comedy or horror film, we all have family. But, most of us were never given the tools to make a family work, so it’s no wonder we can often feel confused and frustrated. God wants to fix that. 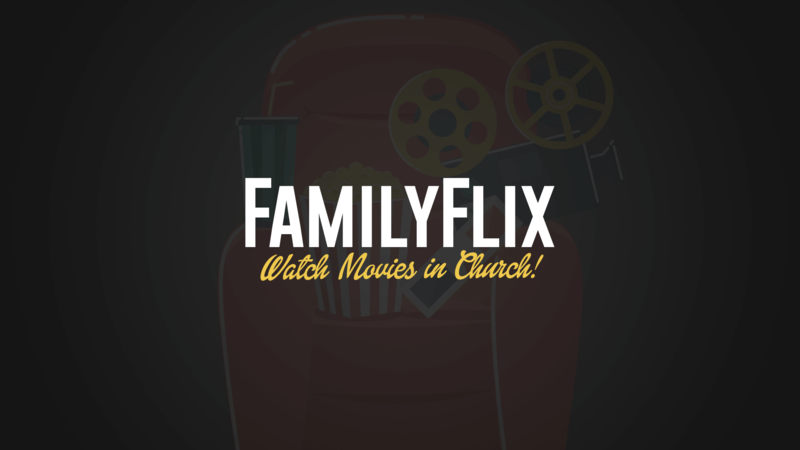 During C3’s upcoming sermon series, FamilyFlix, we’ll be looking at popular movies through the lens of what the Bible says about family. We’ll watch movie clips, eat popcorn, and learn what God has to say in the Bible about how our families should be.